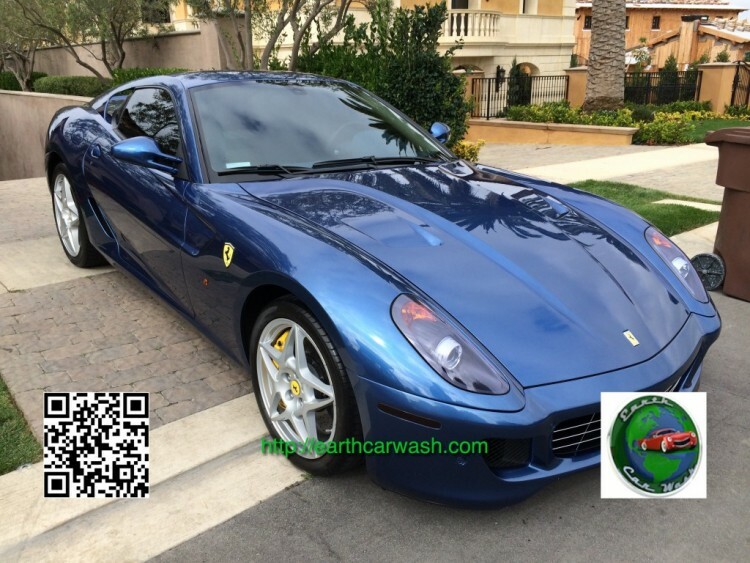 Earth Car Wash started in Los Angeles, CA as a mobile car wash and detailing service. Slowly our Eco-friendly Car Wash start servicing Orange County residents. Based on the hight requests for mobile car wash services at home in Newport Beach, we had to open a second location in addition to our Los Angeles County operation. “Car Detailing Beverly Hills, Auto Detailing Santa Monica, Auto Detailing Culver City, Auto Detailing Marina Del Rey, Car Detailer Pacific Palisades, Car Detailing West Hollywood, Auto Detail Bel Air and pretty much all cities in Los Angeles County”. 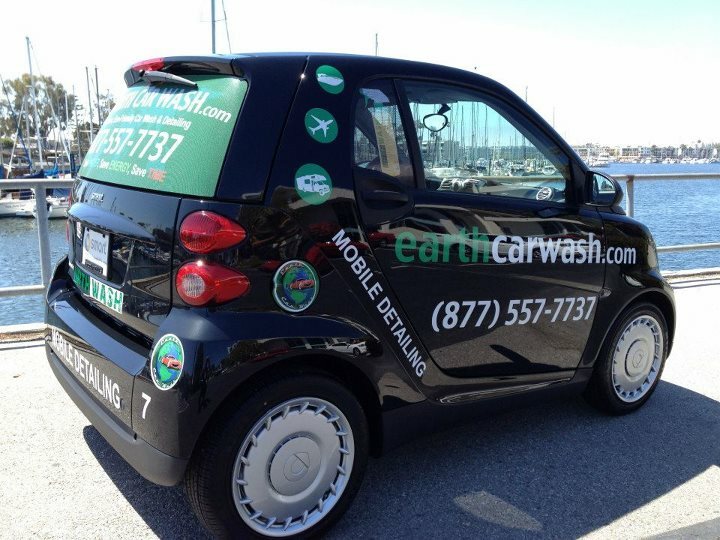 2014 was a great year for Earth Car Wash. We not only expand our Mobile Car Wash and Mobile Detailing fleet in Los Angeles and Orange County, but we also opened offices in San Diego and San Francisco. Our services cater everything for a regular mobile car wash to a compete full detail or paint restoration at home or office. Earth Car Wash units are fully sufficient and can wash your car at home or office without using your water or electricity. Even on Mobile Car Interior Detailing packages, where we shampoo your carpers, seats and steam your car interior leaving you with a perfectly cleaned interior. Our mobile car services packages, include packages such as wash and carnauba wax, full car detail and exterior paint restoration. Instated of wasting your time at a local corner car wash, book Earth Car Wash today and get your car washed or detailed right at your home or place of work. Being in the mobile detailing business for so long we couldn’t help but being asked the same questions over and over again by our potential customers. They mainly wanted us to explain to them why or how are we better than the corner car wash. So we came up with a list of benefits and drawbacks. We’re mobile. We come to you. We do the driving. You save money on gas and time on driving and waiting at the car wash. In today’s world, when time is money, I would say that’s pretty much the best thing someone can offer you: time. You will not be disturbed from your daily activities. You can do something else, such as shopping, dining, playing, working, or just enjoying yourself at home while your vehicle is being cleaned and detailed. Our methods provide a high quality service with very low water consumption (less than 1 gallon of water per service) and does not produce effluents on the ground or sewage, hence no issues with local authority regulations. Convenience and flexibility. We do not require anything from our customers. We are self sufficient and also work around your schedule. We can work on the cars regardless of their location, inside in a garage, or outside, parked on the street. We carry all the equipment necessary to clean and detail any kind of vehicle, from the tiniest sedan, to the biggest truck, motor home or boat. And let’s face it, big vehicles are very hard to take to the corner car wash.
Our employees are verified, professionally trained and they have clean driving records. How many times were you worried about your personal stuff from the car while your car was being washed at the corner car wash by shady employees? Not our case. We work on weekends. While you relax or even sleep in on a weekend morning, your car can be cleaned and detailed for you and when you’re ready to take on the weekend, it will be right there ready for you. No time waste, no hassle. We are a big help in the environment protection drive. We do not use harmful chemicals and we take big pride in using only Eco friendly or organic products. Our services are very affordable. Well, we couldn’t find any yet. If you can, we would be more than happy to listen to it and try to change it into a benefit as well. To be perfectly honest this study has helped reassure ourselves that we are in the right place and made us even more determined to keep up with our good work. If you agree with us, click here to make your appointment.